Newcastle Grammar School is the leading independent coeducational day school in the Hunter region, with over 850 students from pre-school to Year 12. The school has a strong academic programme, a caring and positive pastoral system and diverse co-curricular options. Newcastle Grammar School takes a holistic approach to education, working with families and encouraging each student to strive to reach their potential. Newcastle Grammar School Ltd is a company limited by guarantee and a registered not-for- profit entity under the Australian Charities and Not-for-profits Commission Act 2012(Commonwealth). For the purposes of the ACNC Act, the charitable purpose of NGS is advancing education.  The school must maintain registration and accreditation in accordance with the NSW Education Act 1990. The role of the Board is to set the strategic direction for NGS and to guide and oversee its performance. The Board has overall responsibility for ensuring the School is well-managed and its operations are successful. The Head of School is delegated the day-to day management of the school to achieve the strategic goals set by the Board. In accordance with the company’s constitution, the Board comprises a minimum of three anda maximum of nine directors. Expressions of interest are sought from suitable candidates to fill vacancies that occur from time to time. Directors must also be team players, be able to commit sufficient time to meet their obligations, and demonstrate personal qualities such as integrity and the capacity for independent thinking and collegial decision-making. Directors are expected to demonstrate personal qualities including the ability to listen and communicate ideas, the ability to ask pertinent probing questions, financial awareness, commercial astuteness, integrity, and respect for confidentiality. The Board will also consider whether the nominee brings balance and diversity to the Board. Qualifications eligible for membership of the Australian Institute of Company Directors are desirable. Directors attend monthly Board meetings at NGS in their governance role and work with theHead of School to further the School’s strategic agenda. Meetings are held on a Tuesdayevening and all Board members make a commitment to attend. In addition, between meetings there are occasions when directors are called upon. These include attending school events to represent the Board, participating in weekend strategic planning days, and advocating for the School in the immediate and wider community. All directors also serve on at least one Board committee – these currently comprise the Corporate Governance; Audit, Finance and Risk; and Property and Development (Masterplanning) Committees. These committees meet regularly throughout the year. Directors provide their time and skills on a voluntary basis, and must meet the NSW Education Standards Authority (NESA) requirements for professional learning hours each year. The Board Charter provides further information on Board and director responsibilities. To submit an Expression of Interest for future positions on the NGS Board, please send a letter addressing your capabilities as a director along with your resume to Chairman@ngs.nsw.edu.au. If you have any enquiries, in the first instance please contact Kate Grogan on 02 4908 4011 or Kate.Grogan@ngs.nsw.edu.au. Applications for this round of EOI close on 30 April 2019. Mr Beattie joined the Newcastle Grammar School Board in 2014. He holds a Bachelor of Commerce and has over 18 years’ experience in accounting, business advisory and banking professions. Mr Beattie is a Partner at PKF and leads the Newcastle Business Advisory Services Team and Newcastle Corporate Finance Team. His specialist experience and knowledge is predominantly in the areas of governance, business improvement, management consulting, strategic planning, succession planning, mergers & acquisitions and business valuation. Mr Beattie is a registered tax agent, a member of both the Institute of Chartered Accountants and CPA Australia and a Graduate of the Australian Institute of Company Directors. Mr Beattie is presently a member of the Audit, Finance and Risk Committee of the School. Mr Beattie’s children currently attend Newcastle Grammar School. Ms Wilkinson joined the Newcastle Grammar School Board in 2012 and holds a Bachelor of Arts/Bachelor of Law. She is a Partner at Sparke Helmore Lawyers in the Workplace team and is the national manager of that speciality practice at Sparke Helmore, providing advice to corporate and government clients on a range of work health and safety and employment related matters. Catherine has also served as the Newcastle Managing Partner for 3 years and has been part of numerous internal committees and projects at the Firm including her ongoing role with the Firm’s program which provides support to the women at the Firm and within the Firm’s client communities through mentoring, leadership, education and knowledge sharing. Ms Wilkinson's daughter attended Newcastle Grammar School. Mr Williams joined the Newcastle Grammar School Board in February 2017. He holds qualifications in Business from Harvard University, INSEAD and Newcastle University. His expertise include business growth, economic development, regional innovation, STEM and strategic planning. He has presented internationally on a range of topics including Economic Development, Innovation, Infrastructure and High Speed Rail. Mr Williams’ child currently attends Newcastle Grammar School. Mr Young joined the Newcastle Grammar School Board to fill a casual vacancy in 2017. He holds a Bachelor of Arts and Masters in Social Change and Development. Mr Young established KDC Pty Ltd in 2011 and is currently the Managing Director. He provides specialist planning and development consultancy advice and project management services to clients in the property development sector. He has over 14 years’ experience in planning. Mrs Giles joined the Newcastle Grammar Board in 2018 to fill a casual vacancy and holds a Bachelor of Social Work and Master in Organisational Leadership. Mrs Giles has specialist knowledge and skills in leadership, workforce design and strategic planning. She has a strong track record and expertise in innovation and business development having held executive roles at a local, regional and national level. Mrs Giles has five children who all attended Newcastle Grammar School.